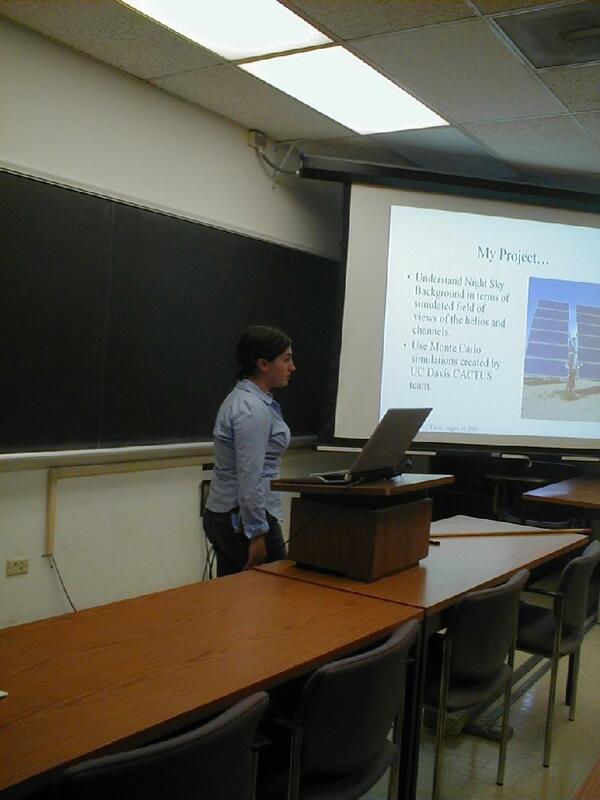 Eleven students (6 women, 5 men) participated in the UC Davis Physics REU in summer 2006. Projects were in Condensed Matter Physics, Biophysics, Nuclear Physics, Particle Astrophysics, and Cosmology. The five field trips in 2006 were a tour of Lick Observatory; a visit to Kiff Analytical, a local company specializing in environmental testing; a trip to IBM; an overnight stay at Lake Tahoe including time on the Tahoe Environmental Research Center's research boat; and a tour of the Stanford Linear Accelerator Center followed by camping and hiking in Big Basin Redwoods State Park. Each student gave a 15-minute presentation, with 5 minutes for discussion. The entire physics department was invited to attend. The presentations took place over two afternoons near the end of the program.